He was snubbed of an Oscar nomination but at the African American Film Critics Association (AAFCA) ceremony, David Oyelowo had a reason to celebrate. 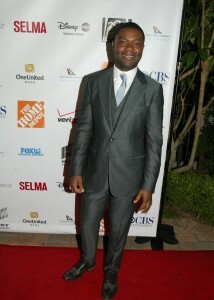 Awarded the best actor accolade for his portrayal of civil rights leader Dr. Martin Luther King in the drama “Selma,” Oyelowo heaped praises on the film’s director Ava DuVernay and producer Oprah Winfrey. Citing them as sources of inspiration and encouragement, he shared with guests who included celebrities Oprah Winfrey, Tyler Perry, Kathryn Bigelow, John Singleton and J.K. Simmons, the arduous journey it took to get “Selma” made. 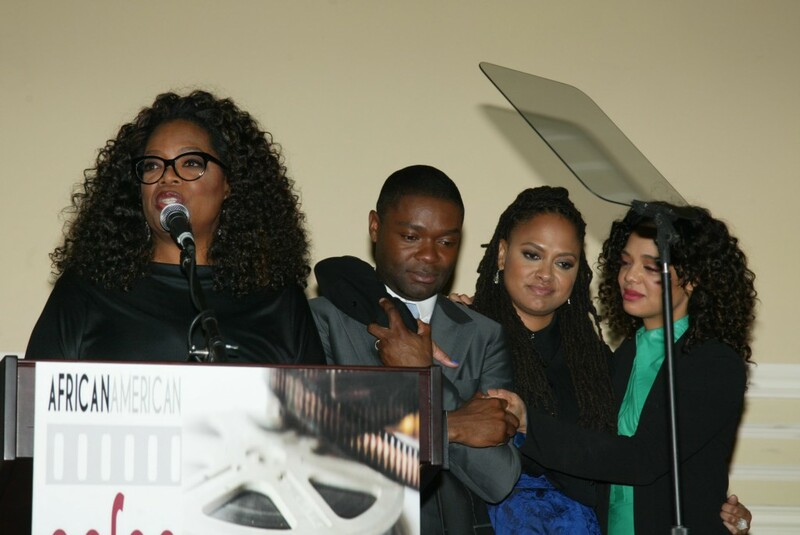 At this annual award ceremony, which was held at the Taglyan Complex in Hollywood, Calif. and hosted by Entertainment Tonight reporter Nischelle Turner, “Selma” earned the top honor receiving the accolade for best picture of 2014. Celebrating the best in directing, screenwriting, acting and producing, AAFCA, an organization of black journalists also honored producers Stephanie Allain and Debra Martin Chase. Actress Tessa Thompson received the breakout star award for her role in the satirical drama “Dear White People” and the cast of the James Brown biopic “Get on Up,” also earned an award. J.K. Simmons received the award for best supporting actor for his role as an abrasive music teacher in the movie “Whiplash.” Simmons, who rocketed to fame playing a Neo-Nazi on the HBO prison drama “Oz” joked that he initially thought it was a clerical error when he heard he was being honored by AAFCA. Now in its sixth year, the AAFCA awards honors African American contribution to American cinema and is produced by AAFCA co-founder Gil Robertson. “AAFCA reminds us that we don’t need outside validation and whether we get any other nominations or any other awards, there is an appetite for black film and an audience that wants to see it,” says filmmaker and AAFCA board member Deborah Riley Draper.